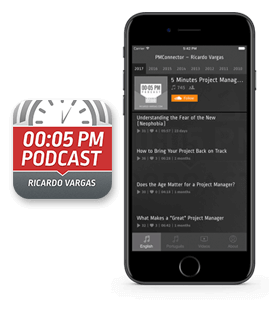 In this podcast, Ricardo talks about his study to create a mathematical model to calculate the Return on Investment (ROI) of a Project Management Office (PMO). How to calculate the result of all projects, even those from areas like Human Resources and Marketing? Ricardo explains how it can be done. What is a Project Office? What are its functions and types? Ricardo explains this and discusses the reasons for implementing a PMO. What is the Level of Detail in the Information Provided to Project Applying for the Portfolio?